Increasing your production while you reduce man power and horsepower since 1937. 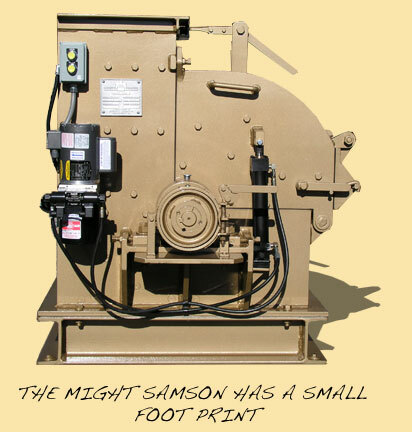 The Mighty Samson® Hammer Mill Grinds Almost Anything! The hammer mill is used to grind most free flowing materials from lumpy, bulky, irregularly shaped material to hard and fibrous material, into coarse to medium fine powder. Large effective screen area with screens available. Features a fold back design for easy cleaning and inspection. 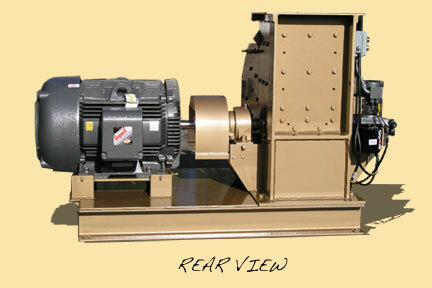 The optimized design of the Mighty Samsone Hammer Mill has a minimal power requirement - lowering your energy costs! Particularly adapted for such a wide range of materials. Address: 1138 Spring City Rd.